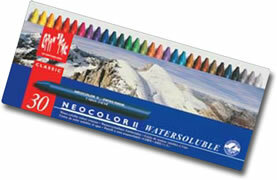 Caran D'Ache Neocolor II is a watersoluble wax pastel, in 126 beautiful, vibrant colours. Used wet or dry these highly adaptable crayons can be used for a huge variety of effects. 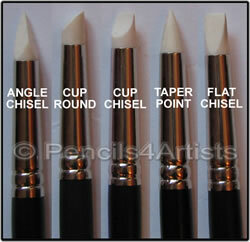 They have a very high pigment concentration making them very economical and are easy to smudge, scrape or spread with a paintbrush. Used wet they create beautifully dense colour washes and lovely soft effects.